Forget the horrible game played on Friday night and Syracuse and focus on ending the season with a strong game in Binghamton. An easy task? Not necessarily. The last time the Devils and Rocket met, it was an ugly, undisciplined mess. For this final game of the season, Joel Bouchard decided that veteran Karl Alzner would be his veteran scratch on the blue line, putting Ryan Culkin into the lineup and going with seven defensemen. Michael McNiven got the start in net. A fast pace and high energy were noticeable in the opening minutes of play. 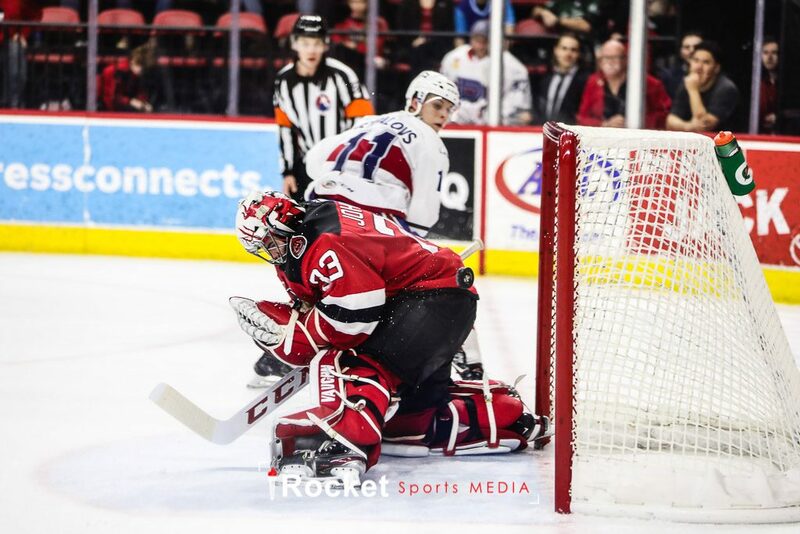 McNiven was kept quite busy in the Rocket’s end, but came up with some big saves to keep the Devils at bay. Culkin in particular made some egregious defensive errors. Near the end of the period, Blake Pietila got the scoring started on a two-on-one chance where he put a wrister past McNiven top shelf glove side. Things really opened up and got interesting in the middle frame. Less than five minutes into the period, Michael Pezzetta scored his sixth goal of the season to even the score at 1-1. The Binghamton fans started to get loud when the officials called off a goal due to Michael McLeod taking an interference penalty in close to the net. At the other end of the ice, Thomas Ebbing headed down the tunnel for repairs as he looked to have been cut on his arm. He would later return to the game. Then, on one of the rare power plays in this game, Xavier Ouellet gave Laval a 2-1 lead when he floated in a relatively harmless-looking shot from the point. Josh Brook had the primary assist on the goal, the first point of his professional career. The Devils potted an equalizer of their own on a power play less than 30 seconds before the end of the period when John Quenneville sent a wrister into the net. 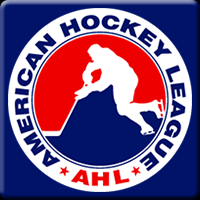 17 seconds later, and 11 seconds before the period expired, Jeremy Groleau backhanded a puck from the slot to score his first professional goal. The Rocket headed to the dressing room down 3-2 at intermission. With everything on the line for the final 20 minutes of both teams’ seasons, the third period was fast and furious. 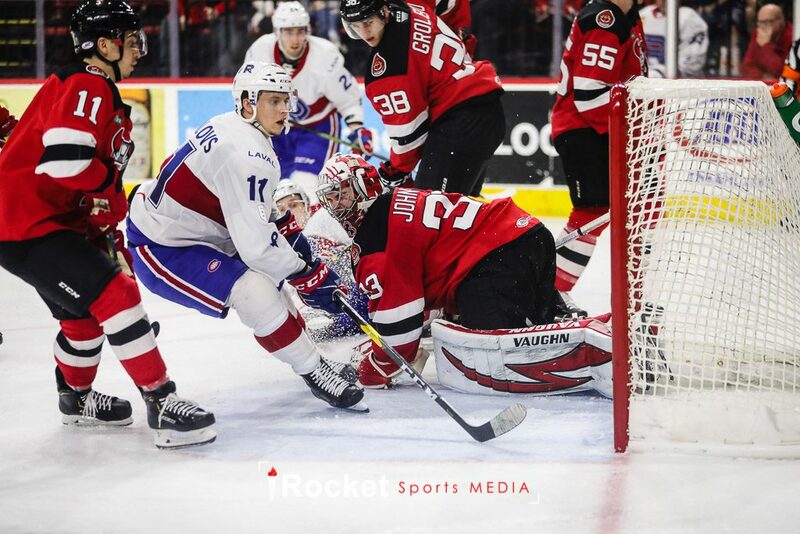 As the minutes ticked by, it looked as if Laval would end the season with a disappointing series of losses as goaltender Cam Johnson did his job to keep his team just one goal ahead. 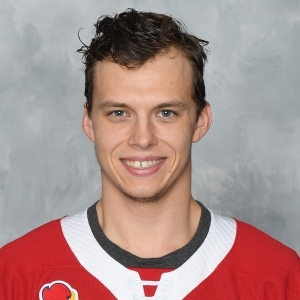 But with just 50 seconds left on the clock, Nikita Jevpalovs took advantage of a John Ramage turnover from behind his own net to wrist the puck past Johnson to tie the game and force overtime. 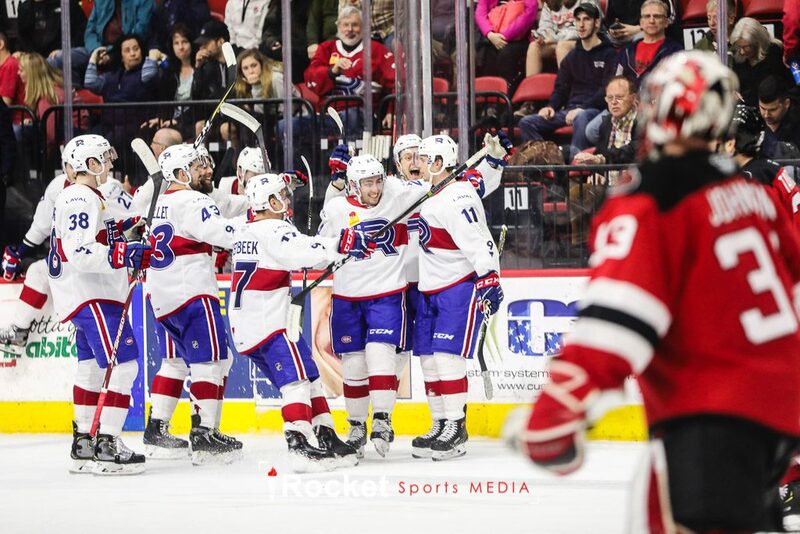 The three-on-three overtime was some of the most exciting hockey Laval had played all season. There were plenty of breakaways, including two for Alex Belzile in which, on one occasion, he was trying to stick handle while using Brett Lernout‘s stick which he was mistakenly handed at the bench. Jevpalovs, however, made another spectacular defensive move to turn the puck over and secure his own breakaway. Johnson, who was visibly still shaken from a hit to the head he had recently taken by Ramage, was in no position to stop the puck which Jevpalovs gently slid through the crease five-hole to win the game. 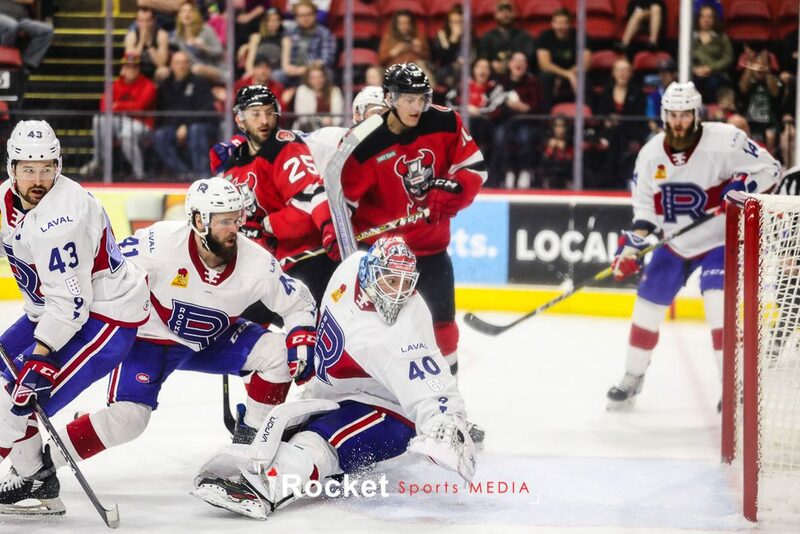 Much like their NHL counterparts, the Montreal Canadiens, the Laval Rocket finished out their season with a much-needed character, come-back win in spectacular style. It was a bright moment to cap off what has been a tumultuous 2018-19 season, and it was quite obvious that the players were very excited to leave the year on such a high note. Wondering how to get all the perks of our credentialed coverage?